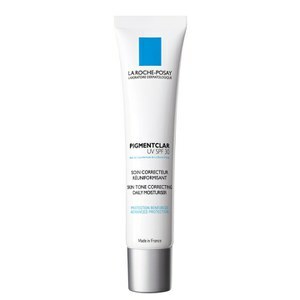 Visibly correct imperfections with the La Roche-Posay Effaclar Duo+ SPF30; a non-sticky formula that works to reduce the appearance of blemishes and reveal a refined complexion. Ideal for oily and blemish-prone skin types, the correcting formula penetrates and clears blocked pores in order to visibly reduce blackheads and other impurities. When exposed to daily UV, imperfections often worsen and can lead to unwanted hyperpigmentation. 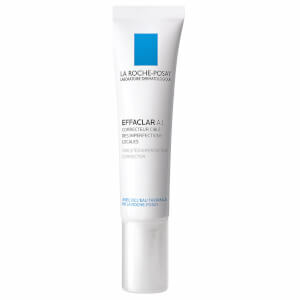 Effaclar Duo+ boasts SPF30, which shields skin from damaging rays, protects against free radicals and prevents the appearance of hyperpigmentation. The potent gel-cream formula is enriched with Niacinamide, which works to purify the visage, whilst a LHA solution performs an exfoliation action. Also infused with Salicylic Acid, the refreshing facial treatment seeks to repair damaged skin cells. Expect imperfections to significantly reduce in appearance, leaving behind a refined visage that is free from shine. 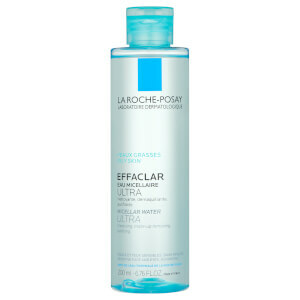 Apply to whole face morning after cleansing skin with EFFACLAR Foaming gel. Avoid the eye contour. Please Note: This is not a suncare product. During intense or prolonged exposure, apply a sun protection product generously and frequently reapply. Aqua/Water, Octocrylene, Glycerin, Homosalate, Ethylhexyl Salicylate, Alcohol, Denat., Niacinamide, Butyl, Methoxydi B E Nzoylmethane, Dimethicone, Sorbitan Stearate, Silica, Isopropyllauroyl, Sarcosinate, Styrene/Acrylates. Save 25% in the Healthy Skin Event. Discount has already been taken from the RRP offer valid for a limited time only. I rarely give reviews on products but with this product I just had to coz I love it. I have been using this for about 3 1/2 years now non stop come summer or winter and I’ve never been disappointed I have acne prone skin and scars from acne aswell this is the only sunscreen that doesn’t break me out more and it helps my acne settle a little during the day when i have my makeup on. This sunscreen never gets greasy or oily on me I have very oily skin my oils do come through after a couple of hours but that happens when I apply any makeup. The magic ingredient in this is the niacinamide which I’ve never seen in any sunscreen as of yet. I would give this a hundred stars if I could. Having suffered from acne for the past three years, I am so relieved to have found a cream that eliminates my spots completely and still gives me the right moisture for my skin without drying it out! I highly recommend this product!!! Merci La Roche Posay!!! The Moisturiser is supposed to be designed for oily skin, however it makes your skin so shiny and leaves like an excess over your skin that you can wipe off after a few hours, after a week of use it started to sting my skin due to the fact it has alcohol denat within the first few ingredients! 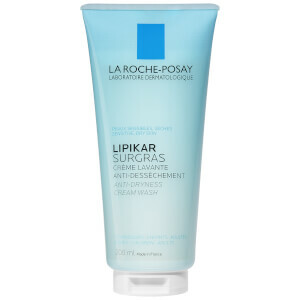 La Roche Posay is a great brand however this product isn’t good at all! I’m sticking with my avene hydrance optimal spf20 instead! I wanted it to work at the original is so good and the benefits of spf sounded great but it sadly fell flat! Finally I’ve used this product up although it was a great struggle all the way! Firstly it sits on the skin and never absorbs - my oily face looked even more oily than normally! It was also impossible to use this product with any kind of Make-up due to the terrible pilling.. The only positives are that the cream has LRP signature floral smell and it didn’t cause any breakouts - so two stars for that!